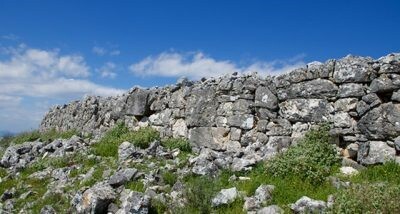 Photo 2 Possibly late Archaic fortification wall on the hilltop. 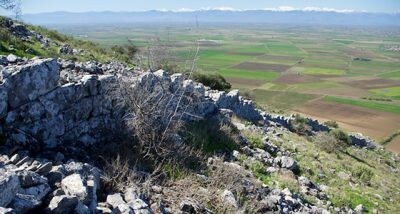 Photo 3 Well-preserved Late Classical-Hellenistic fortification walls on the hilltop. 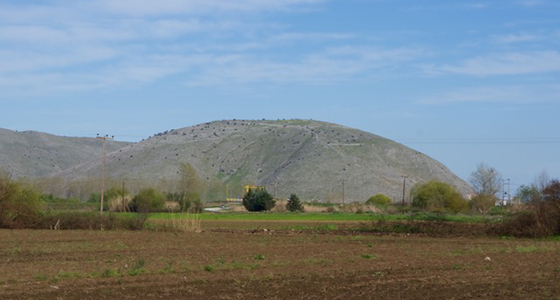 The Hellenic Ministry of Culture and Sports decided in 2016 to grant permission to the Vlochos Archaeological Project (VLAP), a new archaeological project on the plains of Western Thessaly. VLAP is a collaboration between the Swedish Institute and the Ephorate of Antiquities of Kardítsa, directed by dr Maria Vaïopoulou, the director of the ephorate, and professor Helène Whittaker, the University of Gothenburg, Sweden. 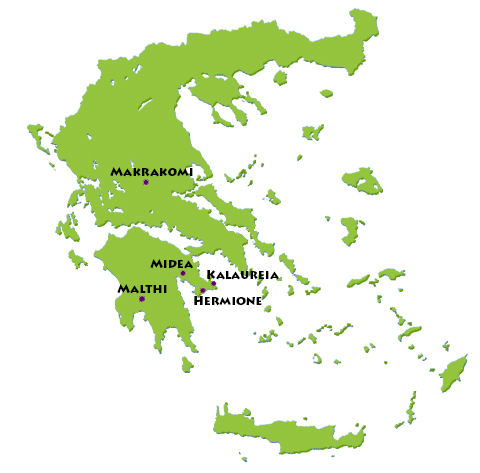 The first season of fieldwork will be carried out in September 2015 by an international team of archaeologists led by field directors Fotini Tsiouka (The Ephorate of Kardítsa) and Robin Rönnlund (The University of Gothenburg). Additional fieldwork will be conducted in 2017, with a final study season in 2018. The project is focussed on the site of Strongilovoúni, an isolated lofty hill on the plain just South of the village of Vlochós in the municipality of Palamás. Remains of extensive fortifications of assumably the Archaic to the Hellenistic periods dominate the site, which probably belongs to a sizeable urban settlement. The site has barely featured in earlier research, and then mainly in efforts at identifying various locations mentioned in Homer and Livy. The fieldwork of 2016 will focus on an architectural survey of the visible remains, the photogrammetric recording of the fortifications as well as a geophysical survey of the settlement nucleus south of the hill. By establishing the general outline of the settlement and by re-examining the previously recorded material from the site, VLAP aims at acquiring a broader picture of this interesting site using non-invasive means.